I am a huge fan of the whole fnaf series and fan based games like joc and i just love making and remixing them. one of my projects has a little easter egg for my new upcoming game. Fnaf a new evolution of fans check out iballisticboom2 for new projects. new fan game coming soon. continuing the keep the revolution going. oak123456789 updated laughing audio trial for voice acting me. 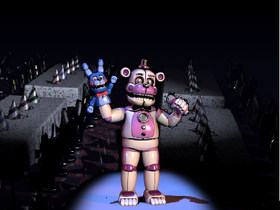 Five Nights At Freddys Studio!